The Finance Council meets on the third Wednesday of the month. While the responsibility for the financial and administrative operation of the Parish is the Pastor's responsibility it is essential that he have sound advice, support and even oversight. These roles are among those entrusted to the Parish Finance Council. ADVICE: There are occasions when a Pastor is required to seek the advice and even the consent of the Parish Finance Council. The members of the Finance Council have the duty to express their opinions and the reasons for those opinions in a direct and charitable manner to the Pastor. SUPPORT: The support of the Parish Finance Council can be of great assistance in assuring that the Plant is well maintained. The Finance Council members may need to assist the parish bookkeeper in the duties of financial management. Again only under the direction of the Pastor and never without the Pastor’s permission. The Finance Council may need to present particular building or maintenance needs to the attention of the Parish Property Committee or to the Parish at large in order to generate support for needed improvement projects. OVERSIGHT: Parish Finance Council Members need to be vigilant about the proper maintenance of the Parish Plant as well as the budgetary cash flow. Each month they are to review the income and expense reports, the balance sheet and the bank statements and discuss with the Pastor any questions they may have. 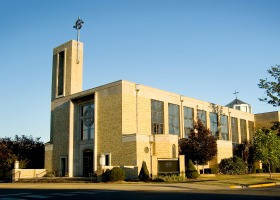 They are to be particularly vigilant about any unusual expenditures or changes in the financial picture of the parish. The Council has a stewardship responsibility to the Parish. Members of the Finance Council may need to ask to see receipts for reimbursement, proofs of purchase or verification of miles traveled if the amounts for these things seem a bit unusual.